You can access this tool by going into an ad group and clicking the Ad Variations tab. 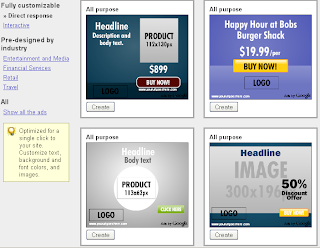 Then Google will walk you through the do-it-yourself Display Ad Builder. They make it pretty easy. These ads run on Google partner sites as part of the content network. According to Google, the ads are optimized for direct user response and use a clear call to action you define. Display Ad Builder is a form of online marketing that should be tried and tested if you are already in a PPC ad campaign. It may help your products or services stand out from the rest. If you need help setting up your Adwords campaign, please consider our professional PPC services.